A proposed aquaculture project could make Michigan the first state to commercially raise African longfin eel, a species native to the Western Indian Ocean and a popular food in Japan, China and South Korea. A preliminary inquiry to the state Department of Agriculture and Rural Development has sparked concern about the possibility that the eels, a migratory species, could escape from the proposed facility in St. Johns, north of Lansing, into inland lakes. As a result, scientists at the Michigan Department of Natural Resources (DNR) and U.S. Fish & Wildlife Service have developed a new system to assess risks posed by introduction of the African longfin eel to the Great Lakes region. The evaluation system could also be used the assess risks for other species that have not yet been approved for aquaculture in Michigan. Stephen Hussey, the Agriculture and Rural Development’s aquaculture and poultry program manager, said his department, DNR and the Michigan Department of Environmental Quality have been working with Aqua Vide on planning for compliance with state requirements. The considerations listed in this article barely scratch the surface of those that need to be addressed before attempting to raise this species in the Great Lakes basin or anywhere in the Western Hemisphere. 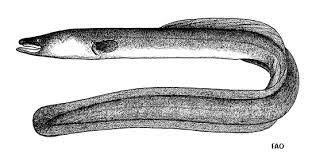 To offer just one example: if the facility is to be continually repopulated by importation of fresh eggs or larvae from Africa, that would bring a constant of potential pathogens and parasites -not to mention hitchhikers- both macroscopic and microscopic, inside and attached to the eels as well as in the water carrying them. Exactly where will this facility be located? Do you have a map showing the location? Will it feature on-site open air lagoons?